Whether you are a commercial cleaning company, a hired cleaning attendant, or in charge of overseeing cleaning in your facility – it’s time to start coming up with a spring-cleaning plan. Yes, that’s right -- Spring is here! The days are getting longer, we are shaking the chilly winter blues, and productivity is rising. This makes it one of the best times of year to bust out those deep cleans we’ve been putting off. Another great time of year to do this is in the fall (October is actually the most productive month of the year) so try to break down your deep cleans for each facility into two sessions – one in April and one in October. It is important to schedule this now so it doesn’t fall to the wayside. Once the summer sun comes out the chances of getting everyone on board with a deep clean will be nearly impossible. Let’s take a look at some things that you NEED to have on your facility spring clean to-do list! The basics can seem common sense to the commercial cleaners reading this, but it’s always a good idea to review the basics! The basics are the foundation for the rest of your clean so it is important to focus on completing these tasks thoroughly before moving onto the biggest tasks. Remove every item from ALL surfaces and wipe them down. Deep clean the bathrooms including toilets, sinks, mirrors, and counters. Disinfect and clean all trash cans. Dust everything, even those hard to reach places that have been ignored all year. Hard surfaces may be extremely weathered and worn from the winter weather. Rock salt and sand which are often used to prevent slipping and sliding in the snow or ice is often tracked into the building, especially near the entryways. These gritty materials can wear down the floor's finish and make its appearance dull and dingy. Make sure to give these floors a great cleaning to make them look brand new. Carpeted areas are also in need of a deep clean after the winter season! Make sure to vacuum carpeted areas, use a cleaning solution to remove the evidence of winter, use a carpet cleaning machine to soak up the dirty cleaning solution and memories of the cold days of winter, and last rinse with a low ph neutralizer if necessary. Depending on the machine, don’t forget to dry the carpets with carpet fans afterwards. Give the inside and outside of your facility’s windows a streak-free shine before the warm and sunny days begin. This will allow more natural light into the building making for a brighter and more productive workplace for your client’s employees and customers. It also is a nice selling point to include in your bids to your clients because professional window washing actually lengthens the lifespan of the windows which will save them money in the long run. Make sure all hardscapes are clean, intact, and undamaged. Next spruce up the landscaping! Landscaping can affect your facility’s business in many ways that you may not realize. Make sure to let your client’s know that investing in landscaping can boost employee health and happiness. Studies show that the more an employee has interactions with nature at work the less stress they will experience in the workplace. Adding a small garden area with tables for employees to eat lunch at is a great way to show them that their employer cares. If your client is still worried about the investment in landscaping, you can also inform them that it will impress their customers and set them apart from the competition as well as add property value. Give your facility’s building a thorough power wash rinse for Spring before the Spring rain beats you to it! The outside of your building is the first impression of the business, keeping it clean is of the utmost importance. Not only does regular pressure washing make the business more aesthetically appealing, but it is also more hygienic. Pressure washing prevents and removes mold and mildew that might be growing on the building, which could become a serious issue if ignored. Lucky for you these are two things that will only require a phone call to your local specialists to check them off your list. It is important to maintain your facility's HVAC systems yearly to ensure they continue to work properly. I promise the staff will never let you live it down if you don’t realize the AC unit isn’t performing properly until the first 90-degree day of the year. The frequency your facility’s HVAC should be cleaned varies on the age of the equipment, how often it is used, your building’s lease requirements, and how often the filter gets dirty. Have a specialist come out, determine the frequency at which the system needs cleaning, and ask them for some ways you can help to keep your particular system cleaner year- round. Regular maintenance on these units will make them last much longer. Pest control is another important thing to stay on top of. Yearly maintenance sprays, traps and inspections can save you a lot of money and discomfort in the long run! 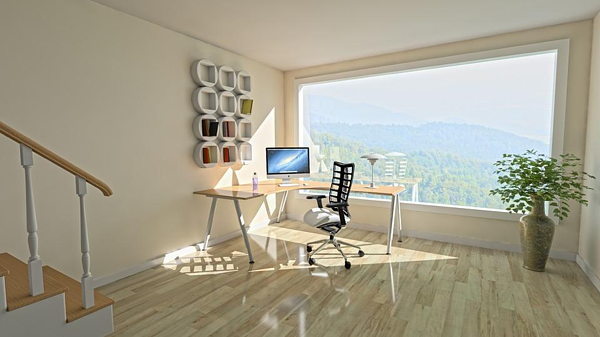 Encourage employees in the office to spring clean their items while you deep clean the workspace. Make them aware that organization has many benefits that include; saving time, lowering stress, boosting creativity, easily accessing and locating items, lessening clutter, and boosting productivity. Here are a few things to encourage them to focus on in-house. Divide paperwork by what is necessary to keep and what is not. Organize what you are keeping in binders, folders, or by scanning them onto files on your computer and shred the rest of the papers. Check printers for ink, toner, and paper. BACKUP YOUR COMPUTER. 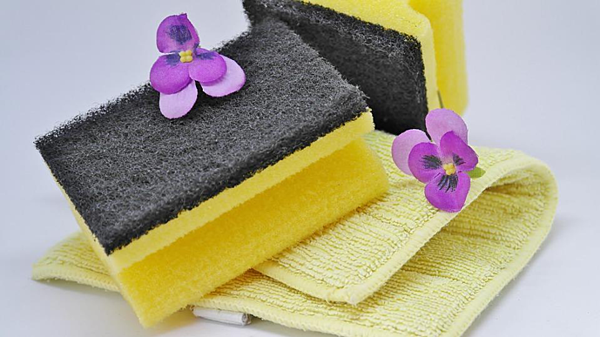 You should make an effort to do this monthly, but if you are forgetful, make sure it is done every time you deep clean. Throw out all expired foods from the kitchen area. Making sure your facility is fully stocked with the necessities can be easy to forget throughout the year. Take this as an opportunity to do an inventory check and make sure the staff is fully stocked on everything they need to get their job done and keep the office clean! Paper towels, soap, toilet paper, toilet seat covers, trash bags, for the bathrooms. Paper plates, plastic cups, napkins, and disposable silverware in the kitchen. Office supplies that are running low; such as paper, pens, post-it notes, printer ink, etc. For help in tackling your spring cleaning, contact Action Unlimited Resource today. They can assist you in making a list of what supplies you will need to start off your spring with a squeaky- clean facility. Don’t forget to set a date today to get your spring cleaning out of the way so you can enjoy a nice clean facility all summer long!